Live Performance Australia (LPA) is honoured to announce Eric Robinson, CEO of Australia’s leading equipment supplier, JPJ Audio and Jands Production Services (JPS), as the recipient of this year’s Sue Nattrass Award. 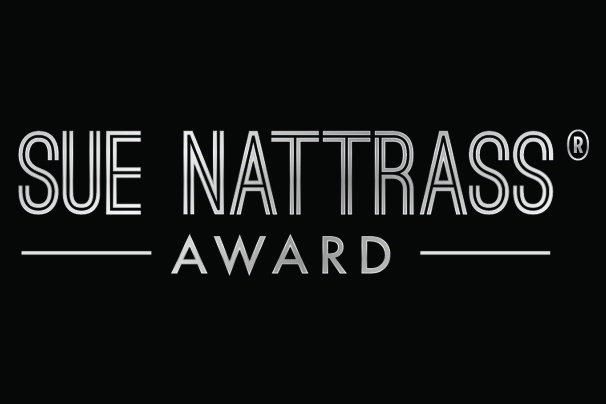 The prestigious Sue Nattrass Award honours exceptional service to the Australian live performance industry shining a spotlight on people in service roles in a field which may not enjoy a high public profile. The Sue Nattrass Award will be presented at the 15th annual Helpmann Awards on the set of Cameron Mackintosh’s acclaimed new production of Les Misérables at Sydney’s Capitol Theatre on Monday 27 July. LPA Chief Executive, Ms Evelyn Richardson congratulated Mr Robinson for his longstanding commitment to the live performance industry. “Mr Robinson is a true asset and source of inspiration to so many within the live performance industry and it is LPA’s honour to bestow the prestigious Sue Nattrass Award to such a worthy recipient,” said Ms Richardson. “Mr Robinson has long been at the forefront of live production innovation and is admired and respected by his peers for his enviable reputation for technical excellence, reliability, safety, business acumen, and endeavour for perfection. Throughout his 45 years’ in the industry Mr Robinson has been responsible for the technical production management and staging of some of Australia’s most admired events and festivals. These events range from early tours by Elton John, ABBA and Fleetwood Mac in the 1970s, and major outdoor events such as Sound Relief, Australia Day Live, Mushroom 25th Anniversary, V Festival, Rumba and Big Day Out. Jands is also well known for its work in the theatre and has been acclaimed for its role in a range of productions, including Beauty and the Beast, The Rocky Horror Show, The King And I, and Lion King. Mr Robinson considers the company’s in-house training scheme to be one of his greatest achievements. “The training program has been running for over 25 years, and our staff are recognised globally for their technical prowess and professionalism,” said Mr Robinson. Mr Robinson said he was honoured to be the recipient of this year’s prestigious Sue Nattrass Award. “For many years I have had the privilege of working in a role I genuinely love and to be recognised by my peers and the live performance industry as the recipient of the Sue Nattrass Award makes me very proud,” said Mr Robinson. Established in 2014, the Sue Nattrass Award commemorates the lifetime service of Sue Nattrass AO, long-serving LPA President and the first woman to hold this position. Tickets to the 2015 Helpmann Awards are on sale now from Ticketmaster.